Multicultural teams are ubiquitous in today’s business environment, and a lot has been written about them. What is often lost in the discussion of multicultural teams, however, is the experience of individuals — especially individuals from East Asian cultures — who are at a disadvantage on teams with Western cultural norms and English as a lingua franca. Originally from China, Jin had recently started a new job as a management consultant in New York City and was immediately placed on two different project teams with individuals from the U.S., Germany and the Netherlands. Jin was keen on making a positive impression, but felt ill-equipped to do so, especially in this mostly Western multicultural team environment. Jin’s fellow consultants would express their opinions with assertiveness, confidence and enthusiasm. They would speak out of turn, often interrupting each other, and sometimes speaking over each other. In China, communication was very different and had more of a turn-taking quality: one person would speak — typically the most senior member of the team — and others would politely listen. After that person had spoken, others could contribute as well, though always in ways that would not threaten the “face” of their superior. Jin’s different communication style showed up on his performance review — as a liability. His manager used words such as “lacking confidence,” “not a team player,” and “not willing to contribute to team discussions.” But Jin had thought he was all of those things — confident, a team player and willing to contribute to group discussions — and even made efforts to adapt his style when working with this Western-dominant team. These efforts went unnoticed. Jin felt hurt by the news and wanted to figure out where things could have gone wrong. He wanted to succeed in his new position, but felt stymied by the team culture. He felt embarrassed about making a cultural mistake and about his linguistic ineptitude, frustrated and resentful about having to adapt in the first place, and also alienated from the group. 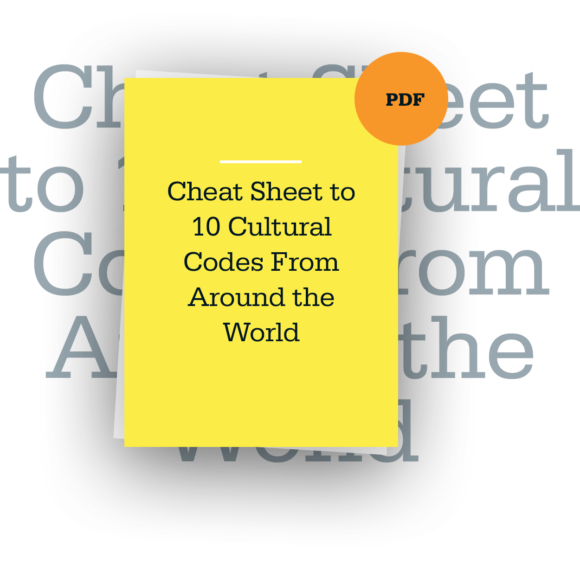 The first thing that anyone who works on a multicultural team can do is to become more aware of the challenges faced by team members from the non-dominant culture. This means appreciating the psychological challenges people like Jin can face in such settings. Increasing awareness also means learning to interpret behavior from outside of one’s own cultural perspective. For example, in Jin’s case, it might mean understanding that a lack of active, vocal participation in team meetings does not mean he is not a team player; rather, it likely means that he is simply trying to be the best team player he can be, but from a Chinese cultural perspective. It is rare for teams to explicitly discuss standards and expectations for effective communication within the team. However, it is critical to do so in a cross-cultural context because people bring such different and potentially conflicting standards to the team setting. Make the norms explicit and also recognize who on the team might be at risk for challenges in meeting these standards, based on their cultural upbringing, professional experience, and personality. Create an atmosphere within the team that is “psychologically safe.” Individuals like Jin can feel intense pressure and scrutiny in multicultural team settings, especially when other non-natives seem to be doing “just fine.” It’s critical therefore for members of the “dominant” culture to help bring struggling members along. This means working hard to create an inclusive and supportive atmosphere for all members of the team. Without such an atmosphere, teams can lose members like Jin who have a great deal to add, but who struggle with the language and cultural norms. Find a way to build and enhance your team members’ language and cultural skills. Many multinational teams in today’s business environment have a culture that is essentially Western, and a language that is English. This creates problems for individuals like Jin who lack the skills to be fully-participative members. Work hard to provide team members with opportunities to build their cultural language skills. This will pay dividends for the team, and also for individuals like Jin down the road as they transition to other teams and contexts. Put these conditions in place and you are well on your way to developing an effective and inclusive multicultural team. Most of us don’t enjoy having difficult conversations, period — but when they involve someone from our own culture, we can usually rely on some basic shared assumptions about what the interaction should look like.